Sakura Watch, April 21, 2017 - slow progress with the cherry blossoms as the cold, overcast weather has once again slowed progress. All of the trees in the park are showing clear signs they are days away from opening. All we need are a few sunny, warm days to help them along. 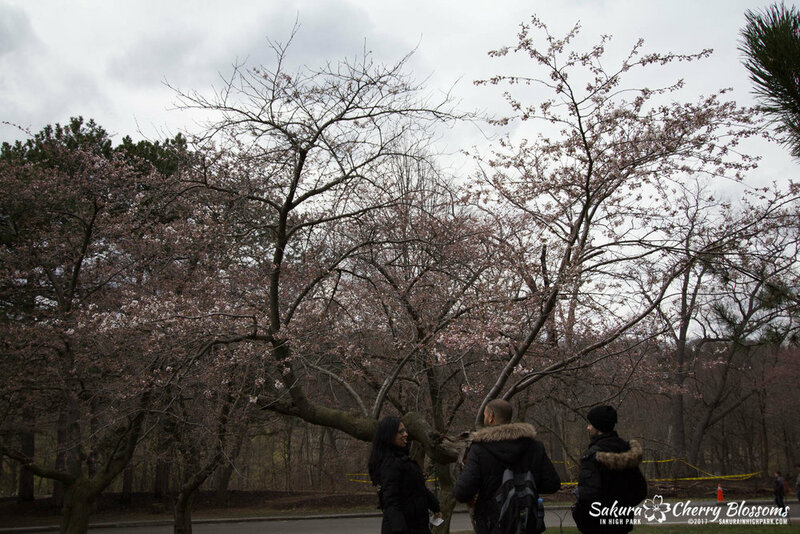 Like so many other cherry blossom loving Torontonians, the wait can seem long and daunting. Mixed with the unpredictability of the weather and you get a recipe for frustration and false hopes. 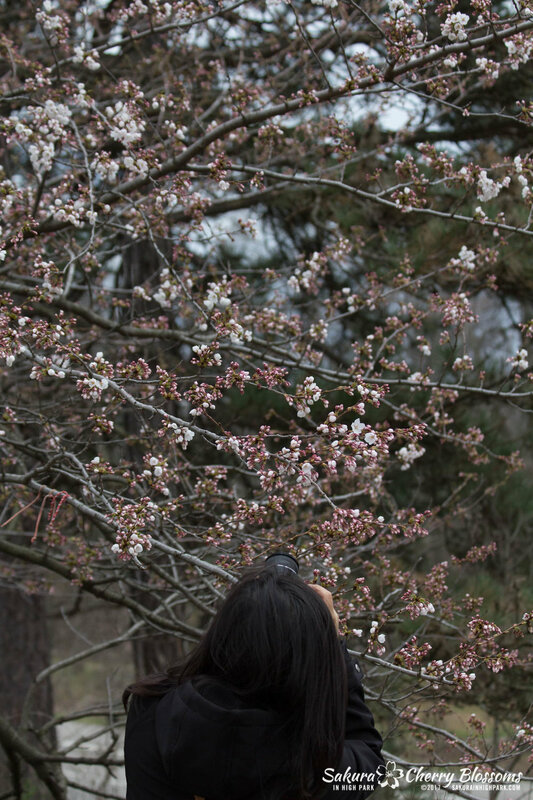 But fear not sakura faithful, the days of pink and white flowers filling the trees in High Park are near. All we need is just a little patience. So more cool cloudy days had come our way instead of the sun forecast. Fingers crossed the rest of the weekend sticks to the plan of sunny days and warmer temperatures to help the florets open up. Looking at the photos in the gallery, you can see all the dark pink florets are extended and are ready to open in 1-3 days. The brighter the pink tip, the closer they are to turning white and blooming. The florets with the white petals in the shape of a ball are just a day away from opening. These blossoms are in the final stage and merely waiting for the right conditions to bloom. If the weather forecast for Sunday stays true, then that would be an ideal day to see many more blossoms opening up. Stay tuned for more updates coming soon! Thanks for visiting and I hope you have a great weekend! Sakura Watch, April 19, 2017 - first day the sakura cherry blossoms begin to bloom!